Apart from assuring compliance, limiting risk and liability exposure, how does call recording help your call or contact centre? Irrespective of industry all call or contact centres face multiple challenges and ever-changing workload, so getting the most from agents and staff can be complex and challenging for any company in any industry. Scheduling difficulties, adequate levels of customer service, staffing levels, shift patterns, staff morale, the list seems endless. Although these are common issues each type of business and its contact centre has additional needs, for example; Automotive, Medical, Insurance, Financial, Local Authority or Government all have their own special challenges. In some of these businesses and call centres, agents must have a higher degree of specialist knowledge and training, so accuracy and depth of knowledge are key, but in others there is a need for greater speed, shorter calls with higher call handling volumes. However despite the type of industry and contact centre, there is always a substantial investment in hiring, training and motivating staff and agents. For all businesses a primary requirement is to ensure staff and agents are producing results as quickly and efficiently as possible. If an agent or call centre staff member should leave, the business has lost a substantial investment and all the money spent training them and then more money to train their replacement. Fortunately utilising the right call recording solution can help minimise problems and maximise the return on staff investment. 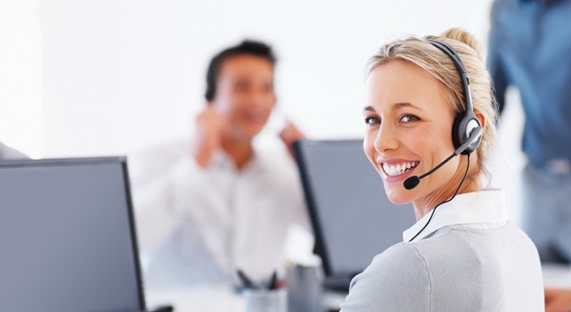 With a recording solution not only are supervisors, managers and leaders getting a feel for what’s really happening in the contact centre as opposed to what they think is going on, the best examples of real customer and business interaction can be incorporated into much more relevant and effective staff training. Supervisors and managers are able to monitor agent engagement, campaign effectiveness, product knowledge, regulatory compliance and performance. Because the training is based on real-world actual examples and the agent is now involved in this process, agents not only learn more quickly but feel incentivised to maintain and improve customer service standards leading to improved productivity and job satisfaction.